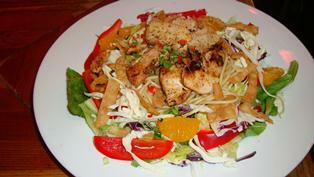 A combination of greens and Napa cabbage, hot & sour noodles, crispy won-ton strips, Mandarin oranges and red pepper. Topped with grilled chicken, steak or shrimp. Served with our ginger sesame dressing. 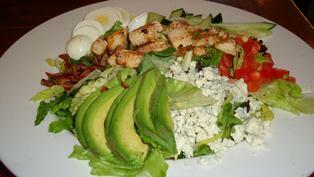 Fresh greens covered with bleu cheese crumbles, bacon bits, diced tomato, avacado, cucumber, and sliced egg. Served with your choice of chicken, fish or portobello mushroom. Substitute steak or grilled shrimp. Served with your choice of dressing. A salad even your sister will love. 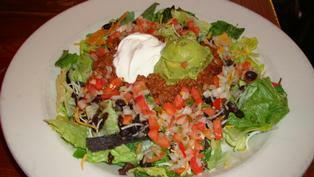 Fresh greens topped with black beans, cheddar and jack cheeses, Pico de Gallo, tortilla strips, guacamole and sour cream. Served with your choice of chicken, fish, seasoned beef or portobello mushroom. Substitute steak, or grilled shrimp. Served with homemade salsa or your choice of dressing. Marinated Ahi tuna over fresh greens, with tomato, onions and Napa cabbage, shaved ginger and chow mein noodles. Served with wasabi dressing. 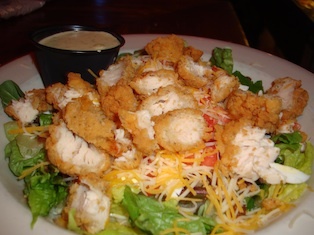 Fresh greens topped with egg, tomato, onion, bacon bits, cheddar & jack cheeses and chicken fritters or grilled chicken. Served with your choice of dressing. Traditional Caesar salad made with homemade Caesar dressing, parmesan cheese and crispy croutons. Add chicken, fish, steak or shrimp. 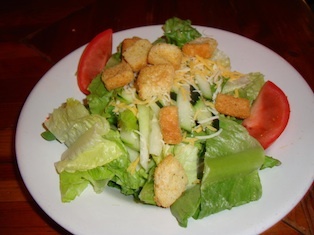 Greens, tomato, cucumbers, cheddar & jack cheeses and crispy croutons. 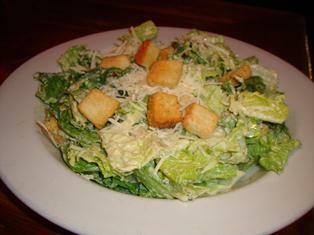 Side Caesar salad also available. Try our famous green chili & rice with chips in a cup or bowl.